Ladies, gentlemen, year two of PKMNCast has commenced, and with it, Ability of the Week #30. Let’s settle in. My favorite way to play Pokémon is rather juvenile, I’ll be the first to admit. I love stacking damage like a fiend, and there’s nothing better than scoring a one-hit knockout. But, my own personal preferences aside, there is definitely a case to be made for inflicting status ailments and doing it often. Well… maybe there’s a way that we can have both, and you know what they say about “where there’s a Wil!” This is Ability of the Week: Serene Grace! Dunsparce are pale yellow, serpentine Pokémon with two small, white-colored wings which are capable of lifting the Pokémon a few inches off the ground. They also possess a drill on the end of their tail for digging which resembles a rattlesnake's rattle. Besides their main pale yellow coloration, they have accentuations of blue, such as the ring patterning encircling their eyes, the thick stripes on the pattern on its back, and its underside, and beige, such as its eyelids and back. 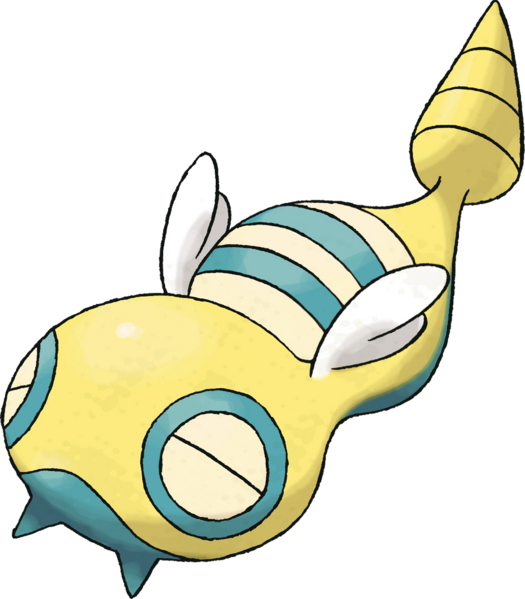 Dunsparce’s eyes seemed perpetually closed and goggle-like in appearance, somewhat like Baltoy’s, and there are pointed prongs on the underside of its chin.